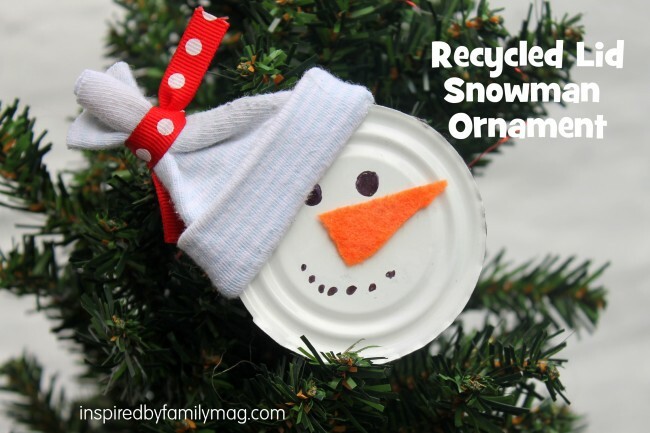 Recycled Christmas Ornament Craft Snowman the kids will love! 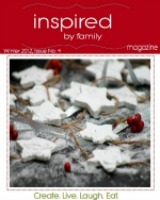 I have been looking for an easy but cute Christmas Ornament to make with my kids for our Christmas Tree. As I mentioned before Christmas items here are really expensive and never go on sale. I came up with this Recycled Christmas Ornament: Mr. Snowman! This year I decided to do a fun kid Christmas tree for our family instead of my usual grown up theme tree. 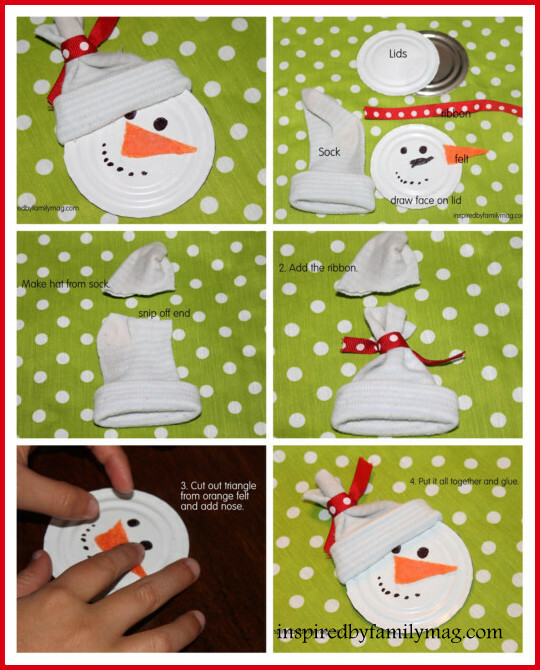 We will be making more snowmen ornaments to add to our fun whimsical Christmas tree. Note: Jar lids from jelly or pickle jars, drinks etc.. will work great. An OJ can lid or mason jar lid is perfect for this craft. The can opener we use bends down the edges of the lids so we don’t have any dangerous edges. Handle with care, especially if your can opener doesn’t bend the edges. You can also use tape on the edges to ensure safety. 1. First start off by making the hat. You will need to snip off the end of the baby sock. 2. Tie ribbon to the end that was snipped off. 3. Cut out a triangle from an orange piece of felt. Draw face and glue nose on and googly eyes. 4. Put it all together and glue the hat to the head. If you enjoy our post, we would love to have you follow us on Twitter, Pinterest or Facebook and our readers preferred way via email. So cute and I love that it’s made of recycled items!! Pardon my asking, the can tops I am used to are cut with a can opener causing the edges to be sharp. How will one make that safe? Hi Retha, Glad you asked. I mentioned above that if your can opener doesn’t bend your edges then you should use tape to secure edges. Either duct tape or some other kind and then paint over it. But you can also use lids from anything like jelly jars etc.. I am so sorry, Mari. That shows I did not read properly. This is SO cute!! I love it! Thanks so much for coming out to the party at Clean and Scentsible. I’ll be sharing this on my Facebook page! Terrific ornament! Share your ornament on our Linky List to get exposure for your own blog and share with your community. This is darling!!! How fun! 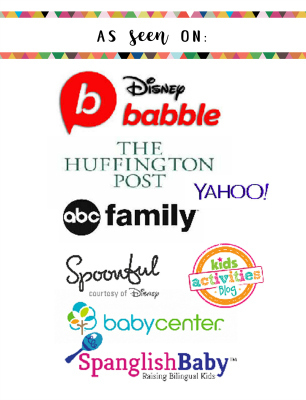 I would LOVE to have you share this at my link party!! Very cute and I love projects that are recycled! Thank you for sharing your project on A Crafty Soiree, cohosted by myself and Malia at Yesterday on Tuesday. I’ve featured yours on this week’s linky party. It will be up on Thursday at midnight EST. Please come by and see it & join us again by showing off more of your crafty skills!